On Thursday, December 1, 2016, Tokyo Metro (Head Office in: Taito Ward, Tokyo; President: Yoshimitsu Oku) will open new Passenger Information Desks at Ueno Station, which is frequently used by Japanese passengers and foreign passengers visiting Japan who are unfamiliar with the subway system. 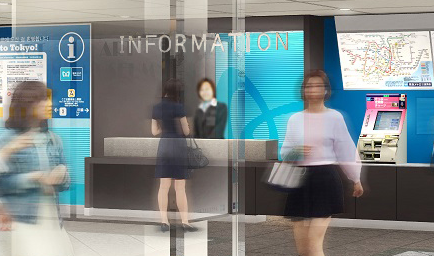 Similar to the Passenger Information Desk that Tokyo Metro has operated at other stations up to this point, the new Passenger Information Desk to be opened at Ueno Station will be staffed by individuals capable of providing information in the English and Chinese languages. Additionally, starting December 1, 2016, "Tokyo Subway Tickets," which are special passenger tickets for travelers, will become available for purchase exclusively to foreign passengers visiting Japan at the Passenger Information Desk at Ginza Station, Shinjuku Station, Omote-sando Station and Ueno Station.